I remember back in the Philippines that we only play Bingo once in a while. That is only when there are Bingo specials held at school. I really love the fun and excitement of playing bingo. In Germany, I seldom play it unless there are party and gatherings with friends and that's the time that I can only play bingo. In short, I don't always play bingo if there are no party or occasions. I don't want to have a stress in driving for hours just to play bingo. I just discovered today that there is always a possibility of playing it. Anytime and anywhere especially at the comfort of your home, I can always play online bingo. At Bingoport, you can play all the time bingo games. They provide you with the top Bingo sites that you can choose from. You don't have to go or drive anywhere and even avoid the stress and hassle of traffic. Only a click of your mouse and you can have all the fun and excitement of playing bingo in the comfort of your homes. I want to try the free bingo offered at bingoport.co.uk. Who knows I might win lots of prizes besides having fun!! Not only that, you can also get the chance to chat with their chat managers!!! Isn't it very exciting!! Visit the biggest UK Online Bingo now!! It's time for you to relax and have some fun!! See you there!! 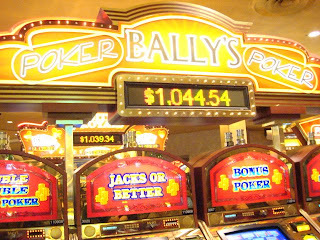 I am presently in las Vegas..took this pix at Bally's Hotel and Casino last May 15, 2008. What I just don't here in the casinos is that people are allowed to smoke. Sorry, but I hate smoking. So I guess playing online games like bingo is much better.